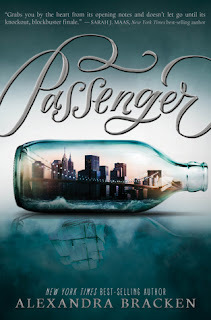 I'd been curious about Passenger from the first moment I read the summary and saw the cover, even though I'd never read anything by Alexandra Bracken before. I was fascinated by the concept of a girl who learns she's able to travel through time and discovers a number of secrets about her family's past. 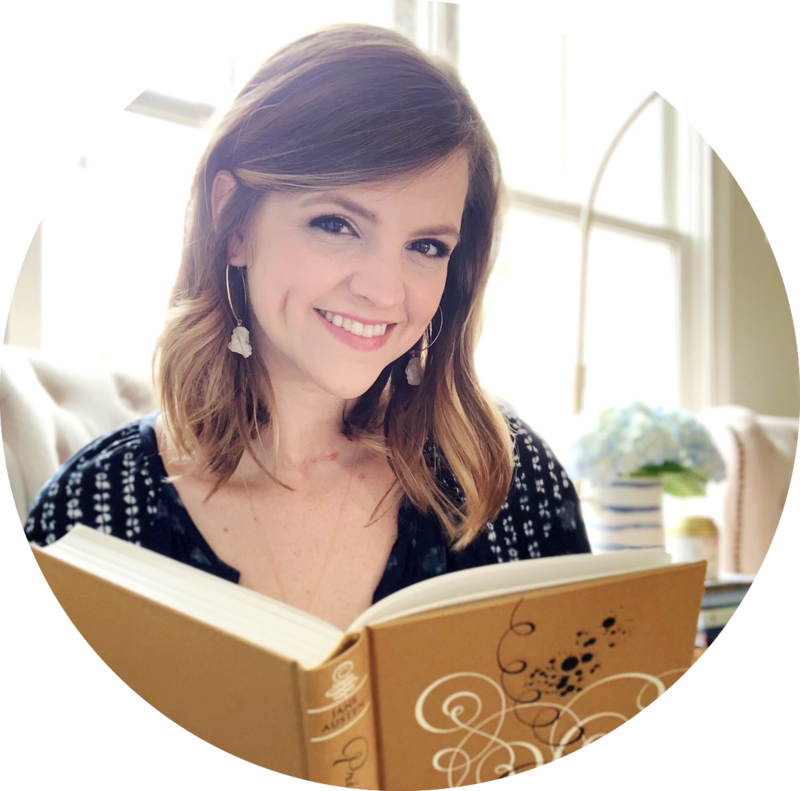 As a historical fiction lover, it sounded like it might be right up my alley! When Alexa offered to loan me her copy, I couldn't resist. As soon as I started reading, I was hooked. The time travel, though complicated, wasn't too hard to grasp. However, it did take a little time to introduce the way this world worked, which made the beginning slightly slower than the second half of the book. I absolutely loved the setting, especially because it changed frequently. Bracken immediately immersed me in each new destination, and I loved getting to visit so many different places and time periods. It could have easily been confusing or undeveloped, but Bracken managed to pull it off perfectly. 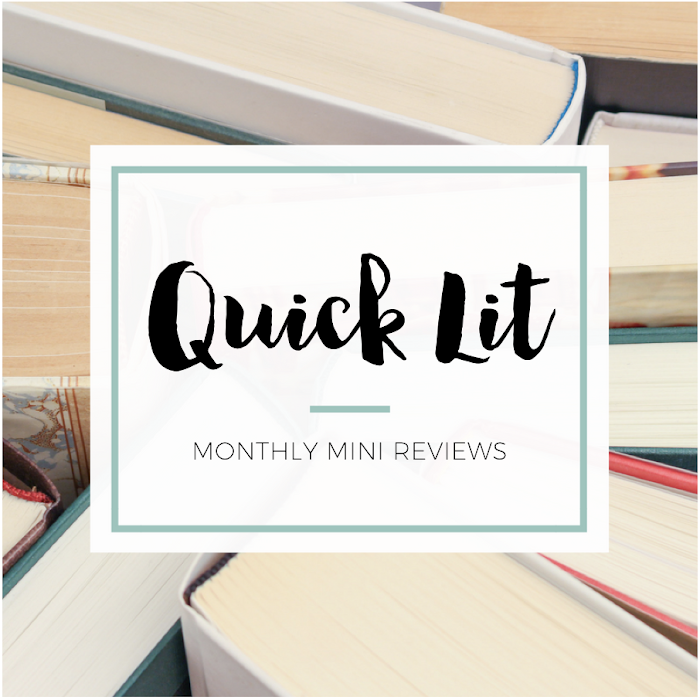 Reading from multiple POVs can sometimes drive me crazy, but I loved being able to hear from both Etta and Nicholas. They were very distinct characters, and I enjoyed them separately - and together. Because yes, there's definitely some swooning going on in these pages. Their relationship grows as the action builds, so the two elements complemented each other nicely. I also appreciated that Bracken didn't just keep it light - she addressed important aspects of the past (like prejudice, feminism, race, etc.). That definitely added depth to this story! All in all, I loved the book and cannot wait to see where the story goes from here. I have a feeling things are only going to get better (though maybe worse for these characters...) in the second book! I'd heard a lot about Robin Benway before I finally picked up her duology (Also Known As and Going Rogue) last year. While I found them quite entertaining and funny, they weren't super memorable reads for me. However, Emmy & Oliver came out that summer, and it seemed like I everywhere I turned I was hearing it praised. So, it was on my radar - but I wasn't convinced that I needed to read it. But when it went on sale for Kindle, I decided to take the plunge. Not long ago, I couldn't decide what I was in the mood to read and figured I'd just sample a few books until something grabbed me. 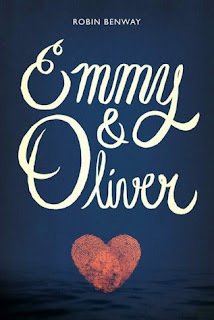 I started reading Emmy & Oliver... and I realized that I was almost a third of the way through the book before long. I couldn't put it down! The premise of the book is intriguing - Emmy and Oliver were best friends and neighbors, inseparable until Oliver's dad kidnaps him. He's vanished without a trace, and it's ten years before anyone finds him. Returning home is hard, both for Oliver and for everyone who knew him. And Benway depicted it all so perfectly that I couldn't believe I'd almost passed on this book. I loved how this book explored the challenges of Oliver's return - how much had changed, the complex emotions he felt for both of his parents, the way his disappearance had affected the friends that had been left behind, and the way everyone struggled to know how to react. I found it so believable, and I really sympathized for all of the characters involved. And though it's a heavy topic, Benway infused a lot of humor and joy into the story. It was the perfect balance of heartache and happiness. I thrilled as Emmy and Oliver's friendship blossomed, and I teared up as they opened up to one another. Benway had me so emotionally invested in these characters! I know I haven't said much about certain aspects of the book, but that's because the emotion of it was what truly won me over. I couldn't put it down, and I absolutely recommend it! I must confess - I requested this book on Edelweiss because I fell in love with the cover. I've never read any Sherlock Holmes (though I've seen the movies with Robert Downey Jr. and the TV show with Benedict Cumberbatch), so I wasn't necessarily drawn to it for that connection. However, I'd had a great experience with another YA series inspired by Sherlock Holmes (the Every series by Ellie Marney), so I was hoping this would be another win for me. Now that I've read it, I have another confession: I honestly don't know quite how I feel about it. When I first started reading it, I considered setting it down. I wasn't connecting to the characters, and I just couldn't seem to find my groove with the writing. But I decided to stick it out a little longer, and I soon realized that I was almost halfway through the book. The main reason I kept reading? I wanted to see how the mystery would be solved! But I kept getting annoyed along the way. The characters frustrated me. The writing wasn't bad, but there were so many places where information was just dumped on the reader. The book depicts drug addiction, but it does so in a way that I found confusing. It was almost like people in the story didn't take it seriously enough, and there didn't seem to be a realistic resolution to that storyline. I don't know - I just found that my issues with certain aspects drew me out of the story. In addition, I'm not sure it really brought anything new to the table - though I can't really say for sure since I haven't read the books that inspired it. Ultimately, I probably just wasn't the right reader for it. If you're curious about it or a fan of Sherlock Holmes, it's probably worth giving it a shot. Personally, I don't see myself continuing this series in the future. I'm just not invested enough in the characters to want to find out what happens next! 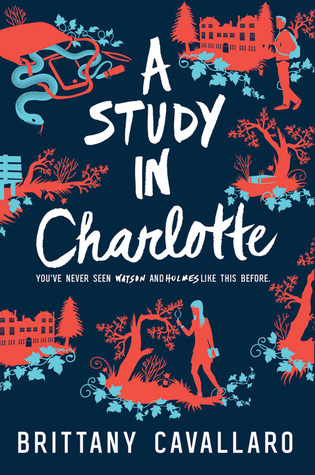 I didn't 100% click with A Study in Charlotte either, but it wound up being more enjoyable than I expected! And obviously, I'm super happy you loved Emmy & Oliver and Passenger. Both books were reads that I thoroughly enjoyed! Yessss for Passenger!! Love it so so much. I am so curious about Passenger! I keep picking it up at the bookstore and then not buying it and then I go home and find myself thinking about it. I think your review might've just pushed me over the edge!